The chevron patterned door fronts highlight the light and dark shades of the Aspen Court Herringbone finish, adding a subtle patterning to our Four Door Media Credenza. 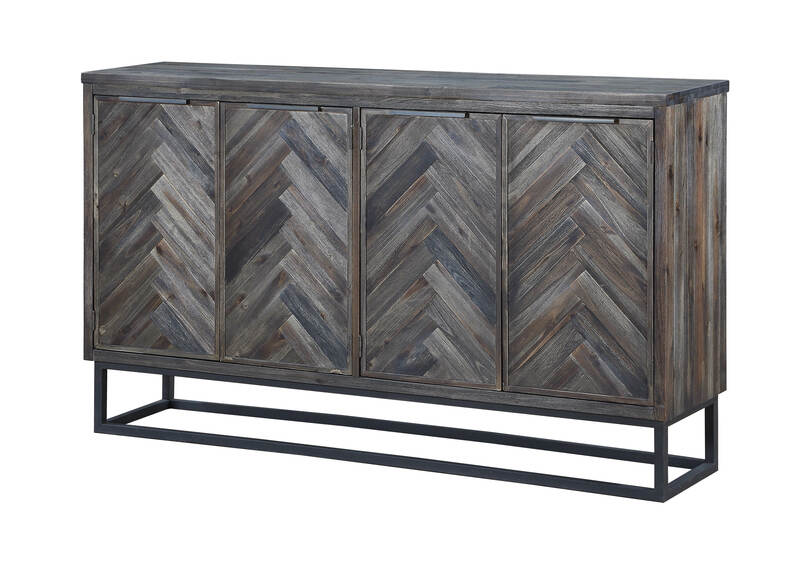 Floating above the open squared metal base, our stylish Credenza offers an abundance of storage with four interior shelves as well as a cord management system to keep unsightly wires under control. Max Tv Size : 68"